Learn how to align sales and marketing in the coming year with this new eBook from HubSpot and LinkedIn Sales Solutions. Just because you’re in marketing doesn’t mean you can ignore the sales kickoff meeting! As a marketer, you should be participating and putting as much effort into the sales kickoff meeting as the sales reps and sales leaders you work with. Make this the year your sales and marketing teams improve communication and become better aligned. This post will walk you through what you should be doing before, during, and after the sales kickoff as a marketer. Once the marketing team nails down the big-picture strategy and understands what their goals are, it’ll be easier to experiment with day-to-day marketing tasks. You’ll need to determine how many leads you should be generating for sales, how many of those leads need to be sales-ready or qualified by marketing, and who your target buyer personas are for the coming year. Knowing who is buying your products or services, and who is an ideal candidate to purchase in the future, helps marketing create materials necessary to support sales during the buying process. 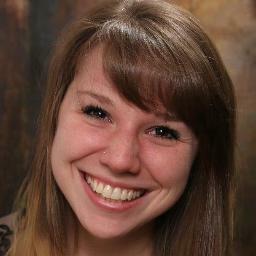 It also helps sales understand their potential buyer to the fullest, which creates an easier sales process. Without this, marketing may be generating leads that sales has no desire to follow up with, causing severe inefficiencies. At HubSpot, each month our CMO gets up in front of our sales team to give a 5-minute presentation about whether we hit our goals or not, and what the most successful activities were. This short, data-driven summary helps the sales team understand where the leads they get each month come from, and which types of leads are the most qualified. This also helps with forecasting for the coming year. Sales and marketing will need to compromise on what each team is accountable for in the coming year. You’ll need to determine how many leads marketing should be generating each month, and what is required of sales after those leads get passed over. These two teams will align much better if the teams can come up with an agreement based on concrete, numerical goals. After the sales kickoff, marketing should understand what the big sales initiatives are, and what pain points sales reps are consistently hearing from potential customers. By taking notes about these two points, you’ll be able to fuel your marketing with relevant content, smart user testing, and internal training in the coming year. The marketing team shouldn’t just sit there and take notes -- they should also be presenting to support the sales team and help grow the business. Show what marketing did that worked for the sales team in the previous year, and also what didn’t work. Don’t be afraid to ask for feedback during the sales kickoff so you can improve your presentation in the future. Once you have a good idea of who your audience is, what your strategy and goals are, and what new product updates you’ll need to communicate, you’ll be able to have some fun and experiment. As HubSpot CMO Mike Volpe would say, “Don't be afraid to get creative and experiment with your marketing.” If you’re not sure what marketing content your target buyer persona would enjoy, you should run some tests to see what messaging will work best in the coming year. No matter what your marketing goals are, it’s always beneficial to generate leads for your sales team. If you have a piece of content that performed exceptionally well for lead generation last year, you should give that content an update and launch it as a new edition. This is an example of working smarter, not harder, so you can accurately predict how many leads you’ll generate for the sales team in a given month. It’s important to generate new leads for sales, but you also need to know if those leads are putting a dent in the revenue numbers. If you know the quality of the leads you’re generating, you’ll be able to calculate the return on your investment and decide to keep or cut certain marketing activities. By measuring every bit of your marketing, you’ll be able to pivot and improve the quality of your leads on the spot. One way to maintain successful sales and marketing alignment is to create and distribute materials for sales to use during calls, product demos, etc. Product marketing or sales enablement teams within marketing generally create these content pieces. These materials provide ongoing training for sales and can help keep the entire company updated on new messaging and product developments. It’s important for sales and marketing leaders to commit to a well-structured SLA based on hard data. It’s also best to leave opinions out of the discussion! The sales team needs to make sure the marketing team is hitting the lead numbers they said they’d generate. At the same time, marketing needs to make sure sales is actually closing on the leads they’ve already generated. Want to learn more about how your marketing and sales teams can better align in the coming year? 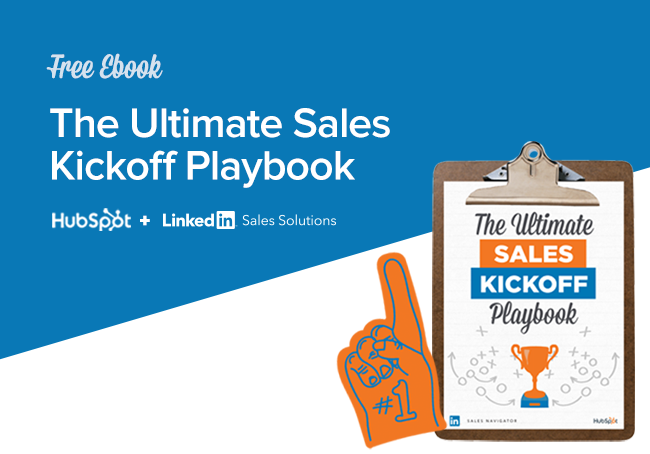 Download "The Ultimate Sales Kickoff Playbook" by HubSpot and LinkedIn Sales Solutions for a more in-depth look.